Jimi may have invented that particular house of worship, but Sean Michael of Lovepedal has gone a long way towards putting it in a box. No, he hasn’t developed a circuit for “monster technique” or “soul to spare” but, in the COT 50 “Church of Tone” pedal, he has aimed to capture the response of a late ‘60s plexi loaded with 6550 power tubes, and he’s succeeded admirably. The genius of the COT 50 is in its simplicity. The single bias knob acts as an overdrive control, ranging from just a touch of grind at the lowest setting to a truly hot and bothered high-gain roar when maxed out. Apart from the bias knob and truebypass stomp switch, there are no other controls - indeed, there isn’t even a 9V-battery socket. “This is a very low-draw circuit that actually benefits from battery sag,” explains Sean Michael. “Carbon batteries (two for a buck at the dollar store) sound best, but you can try alkaline. Wall warts often generate too much noise, and if I had added filters for a 9v supply, the pedal would’ve sounded different.” Amen. My first impression of the COT 50 was of a delightfully transparent gain control that could be manipulated entirely with picking dynamics and the guitar’s onboard volume. Rotated counterclockwise, it added a hint of grit and rattle to complex chords, a woofy subharmonic to two-note intervals, and a toothy bite to single-note lines. At the “high noon” setting, the overdrive became more belligerent, yet still absolutely respectful of my guitars – a Yamaha Pacifica, a Carvin California carved-top, and a Les Paul Standard – and amps – a Carvin V3, a Music Man RD-50, and a solid-state Fender Bronco. Even at full tilt, with sustain as thick and tasty as butterscotch, I could always roll back the volume knob and regain a clean, clear tone that absolutely respected complex chords and pick transients and always sounded like the guitar and amp in use. The COT 50 does add some coloration to the signal, but they’re the kinds of colors Jimi must’ve heard on his clearest days. With the guitar’s volume full up, the texture is much like a 50 watt Marshall in its more torrid range, a sinewy knot of high-midrange complexity. Roll back the guitar’s volume and you’re left with a lively Vox shimmer atop your guitar and amp’s identity. Amazingly, this happens to an appropriate degree throughout the pedal’s range, and without the annoyingly excessive boost in volume that many overdrive pedals generate. And, yes, it’s dead quiet. 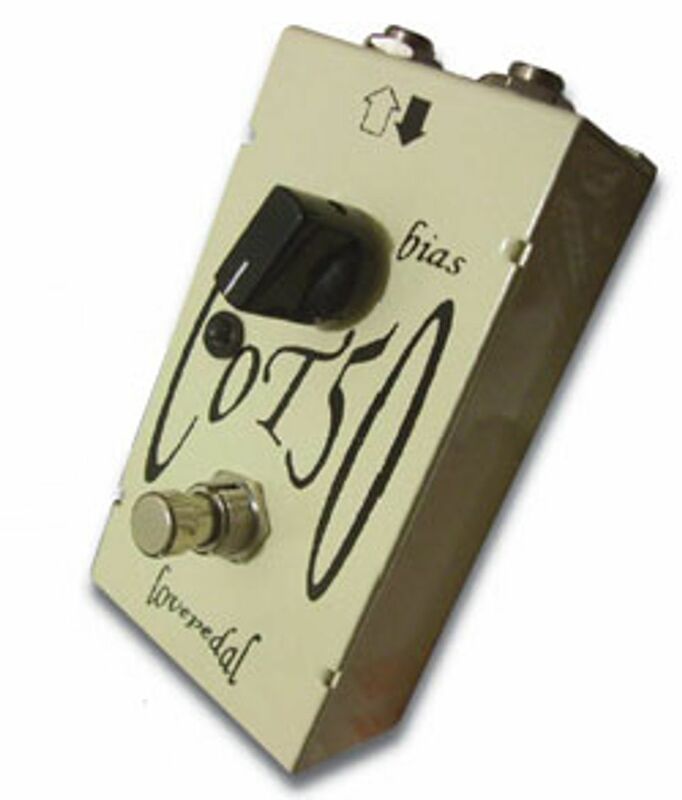 The COT 50 is built as solid as the best boutique pedals. The circuit, bias knob and LED are all of a piece and encased in epoxy, both for structural stability and anti-piracy protection. The input and output jacks, stomp switch and battery harness are all wire-draped and the battery, wrapped in foam, fits snugly between the stomp switch and the inner housing. My only gripe is with the housing which, at less than 8 oz., is a shade light for a floor pedal. And with no rubber feet or bottom pad, this beauty’s belly is going to get scraped. But Velcro it into a pedalboard or wedge it into your amp handle and you’ve got yourself a tone tool par excellence.